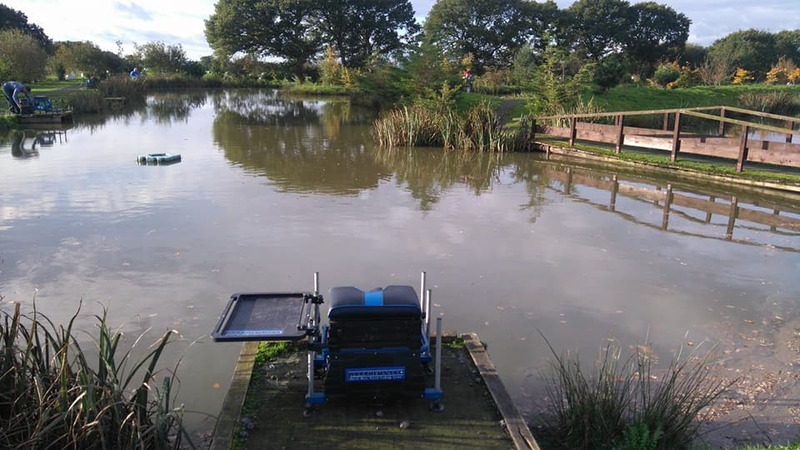 I went to the cunneries fishery yesterday to contest the pair’s match which i think is a really good idea and something that other venues should look at doing because it certainly breaks the monomity of matches in the winter months , my pair for the day was my old Adlington angling captain Jordan Cameron who I fished with on the last pair’s match here were we just missed out on a top three finish so understandably we was both looking forward to it , the weather during the week had been cold+wet and on arrival to the venue the water levels were quite high plus the bright conditions would make things a bit difficult today .Unsurprisingly I was in charge of picking the pegs and I put myself on end peg 38 s canal which I would normally have been happy with but just recently all the f1s had shown on the middle part of the canal , with my mate sitting on peg eight on the old canal so not a very good draw and i have not been having a great deal of luck in the draw bag recently . 3ft maggot rig 4×10 Md slim float with a bulk plus dropper shotting pattern spread along my 014 garbo main line , attached to it was six-inch 010 garbo hook length . Channel rig towards my right were it was six-inch deeper and i used a 4×12 Md slim float Md slim float with a bulk plus dropper shotting pattern spread along my 014 garbo main line , attached to it was six-inch 010 garbo hook length . 4ft maggot rig 4×12 Md slim float Md slim float with a bulk plus dropper shotting pattern spread along my 014 garbo main line , attached to it was six-inch 010 garbo hook length . Dobbin rig 4×12 Md diamond float Md slim float with a bulk plus dropper shotting pattern spread along my 014 garbo main line , attached to it was six-inch 010 garbo hook length . 1 slice of bread . When the all in sounded I began the match by Dobbin bread all along the far bank reeds and for the first forty minutes I was fish less but I was getting all sorts of strange indications on the float which kept me interested , but despite changing depths+punch sizes i just couldn’t get a proper indication and it seemed there was a few fish in the area but I couldn’t work out how to catch them .With other anglers around me putting the odd fish in the net by feeding so I decided to follow suit and began trickling in a few maggots through a small kinder pot , I began in four foot towards my left about a foot away from the far bank cover and I managed a little run of fish but I must have over done it with the feed because I started foul hooking the odd fish , i tried three-foot rig which didn’t produce a bite so for the next couple of hours I set up multiple new swims in four-foot picking up a few f1’s from each but I didn’t think there was much in front of me as i had to work really hard for them , after yet another quiet spell I went long towards the left hand corner and worked all along the far bank without any success which was strange because i expected there to be a few f1s sat there out of the cold easterly wind . I kept trying my channel swim which i had trickled in a few maggots all through the match but i never managed a bite from it so with an hour of the contest left I finally found a couple more f1’s at 13m towards the point of the island in three-foot and I felt that I might have missed a trick not searching in that area earlier because at this time of year the fish don’t come to the bait and you need to find them but fishing at this angle it made shipping back awkward , to be honest I expected the fish to be in the deeper water due to the conditions but I never had an indication over four-foot which just goes to show you can’t turn up at a match with a pre set plan in mind as you can be made to look a bit foolish . At the all out I had managed to catch 15 f1’s which went 21lb and this put me third in the section getting proper smashed up by the pegs in the middle of the canal who both had around 50lb but it was still a good days fishing for this time of year , Jordan had also finished third agonisingly missing out on the section and lake win by just over a pound this left us on a disappointing six points for no good . 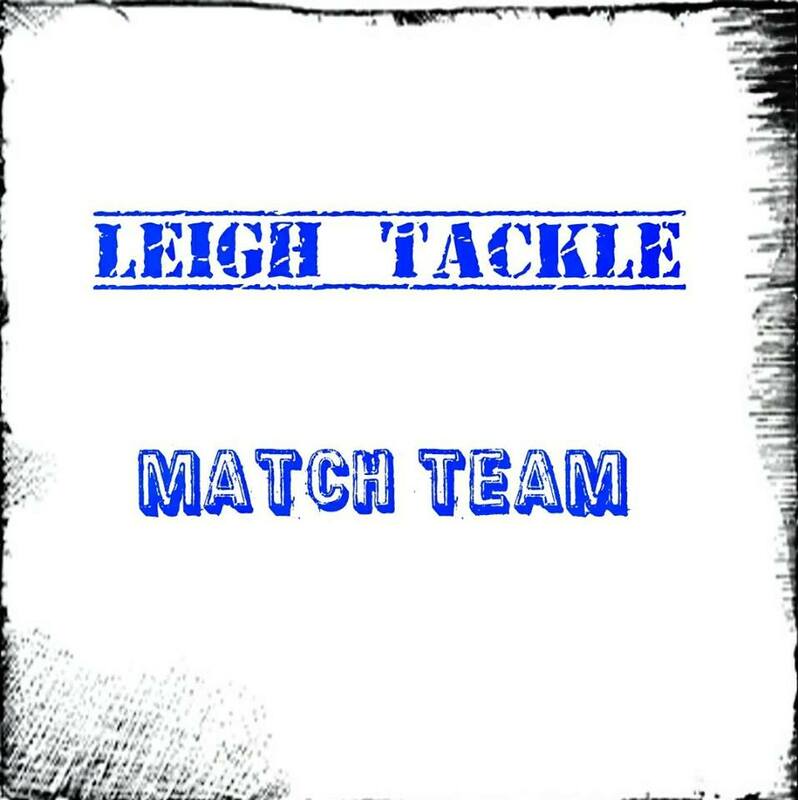 Well done to my mate John Unsworth and Shaun Welsh on the win and all the other framers , both the Leigh tackle team’s did really well in the match today as well which is hopefully a good sign for future matches . I have fished the partridge open match today because i wanted to try to get back in touch with the fishing before the individual winter league starts in January and after meeting up with a couple of friends all the talk when I got there was that you needed a draw on covey five to have a chance for a good days fishing because the other coveys 1-4 wasn’t producing at the moment due to the up and down weather conditions last week it was frozen solid then today was 10 degrees .It was soon time for a dip in the bag of doom and my bad run at the draw bag continues as I pulled out peg 65 on covey three not the best of areas in summer never mind at this time of year and it’s never a good sign when you get to your peg and they give you plenty of room especially when the lad towards my left didn’t turn up so there was plenty of room for the f1s to back off. Four foot rig directly in front of me but i sent up multiple swims along the far bank at this depth and i used a 0.2 Md maggot float which had a tapered bulk shoting pattern spread along the 014 garbo main starting above the six inch 010 garbo hook length . When the all in sounded i spent the first hour of the match dobbin bread about a meter away from the island in 4ft and i worked my rig 14m either side of me with only a couple of liners to show for it, but nobody within eye shot was catching a great deal apart from the lad directly opposite on peg 58 who was catching the odd stockie so I wasn’t really that far behind . 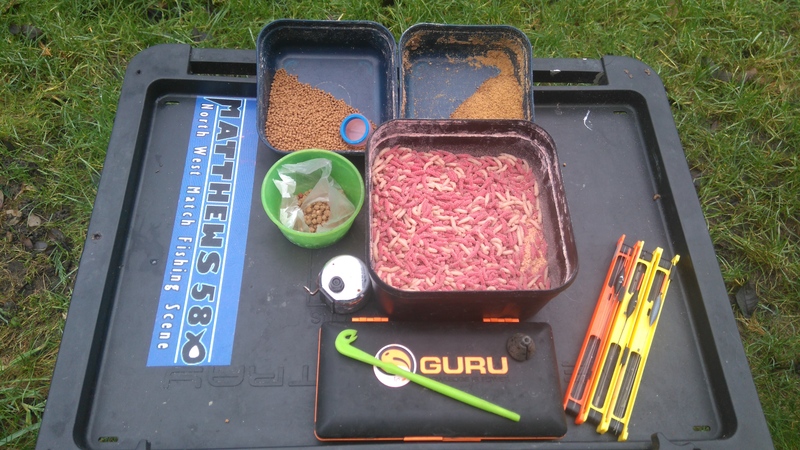 My next move was to start tapping in maggots in front of me in 4ft and after about twenty minutes i had my first fish which was a small ide at least i had not blanked , a short while after I had my first f1 about two pounds then another small ide and I was just thinking that I might have a good run of fish but that was it from the swim , maybe i should have been a bit more patient but i decided to put in two more swims at the same depth either side of me even though i fed them both the same I only caught on the one towards my right although even then they was just small ide . With two hours remaining I had a look on my track line and missed a bite but not long after the slightest tremor on the float resulted in a nice ghostie coming to the net but despite quite a few tries during the remainder of the contest that was the only fish I caught from that swim, i tried putting in a new line in front of the platform to my left and after trickling in a few maggots i never had a bite from it which was strange because it just looked right for a few f1s and with time running out i went further to my right still in 4ft and i managed a couple of small f1’s before i foul hooked a couple of better fish which might have been carp judging by the size of the scales , for the rest of the match I rotated all my swims without much success and i managed two quick stockies about ten minutes before the all out from directly in front of me it was just a shame they didnt turn up any sooner . When the all out sounded it called an end to a very frustrating contest because i just couldn’t manage a run of fish from anywhere and i just hope that it improves before the individual winter league starts i think we need a run of continuous temps for that to happen ,I tipped back about 16lb of fish because 30lb was winning the section when they came to my peg and i am not sure what I could have done different today just a lack of fish in front of me i think . I have been back to Bradshaw’s fishery today for round five of my winter league and with the first proper frost of winter plus blue skies meant i expected things would be tough going , on arrival to the venue the wind was blowing from right to left it was feeling really chilly and i was glad that i had wrapped up warm before i had set off on my journey to the fishery , even in these conditions there was nearly a dozen anglers already fishing and it looked like we could be tight for space on the match . 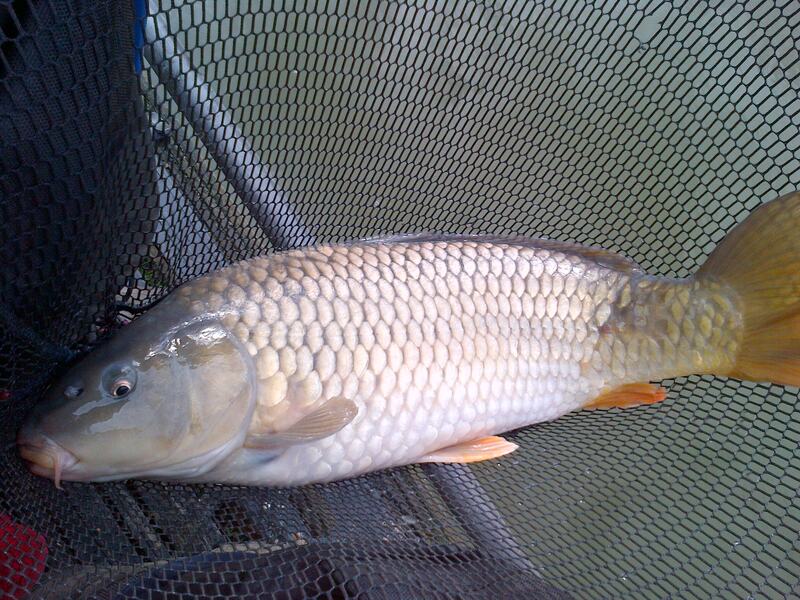 It soon came round for the draw I pulled out peg 31 which was not too far from where i was last week and they struggled down that end so i wasnt expecting things to be great , although on the plus side it was an end peg for the competition but I had to put up with pleasure angler’s to my left throwing in corn all over the place and I also had every peg in towards my right. Four meters towards my left just at the bottom of the near slope and i was going to fish pellets here so i used a 4×14 Md pellet float which had an inch spread bulk starting above my four-inch 012 garbo hook length . Eleven meter directly in front of me which was the furthest that i could safely go and i was going to fish maggots over ground-bait , i used a 4×14 Md silver float which had a bulk plus two dropper shoting pattern and my main line was the usual 014 garbo that had a six-inch 012 garbo hook length attached . Six meters slightly towards my right where it was the deepest part of my peg and i used a 4×14 Md maggot float with a staggered bulk shotting pattern , my main line was the usual 014 garbo that had a six-inch 012 garbo hook length attached . 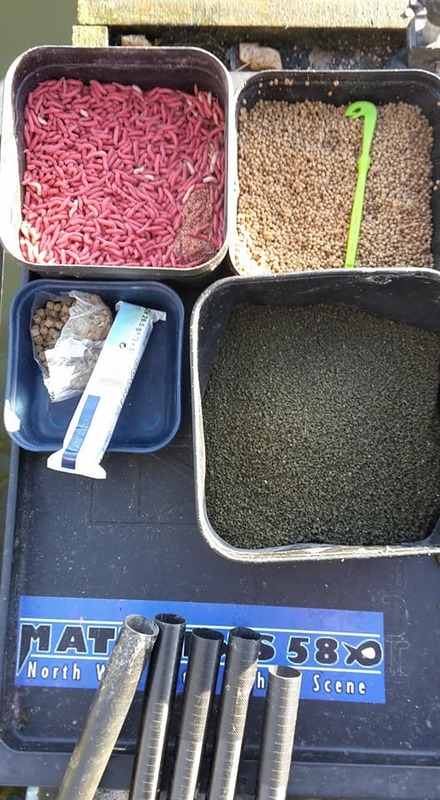 When the all in sounded I started at 5m with pellets as i felt this was my best bet to catch some f1s+carp i began by clumping in some micros so that they fell in a heap directly to the bottom but i only managed a few small silvers doing this so i tried taping in some feed which i hoped would drag some better stamp fish in to the swim but after an hour had passed i still hadn’t seen any net fish , so i went out to 11m were I had earlier put in 3 balls of ground-bait and i began getting indications straight away but yet again they was just small silvers , i began cattying in some maggots every few minutes to try to draw some bigger fish this just produced more tiny fish and i was at a loss on what to do next but with the anglers all around me struggling it could just be a lack of anything decent in the area . With half the match gone I was still really struggling so I put in a new swim towards my left kinder potting maggots in just to see if the ground-bait was attracting the small stuff and to an extent it did work because the silvers improved in size , i even managed a lonely f1 and then a perch around the pound mark which was nice catching as they aren’t in many commercials these days but it wasnt long before the tiny bits returned . With an hour of the match remaining and the light beginning to fade the pleasure anglers to my left began to pack up which gave me a bit of room so I put in yet another new swim this time directly in front at 6m , I began feeding small marble sized balls of sloppy ground-bait through a kinder pot before pinging a few maggots over the top and this finally got me some decent skimmers and f1’s but it was too little to late because i was quickly running out of time as the all out sounded to early for my liking . 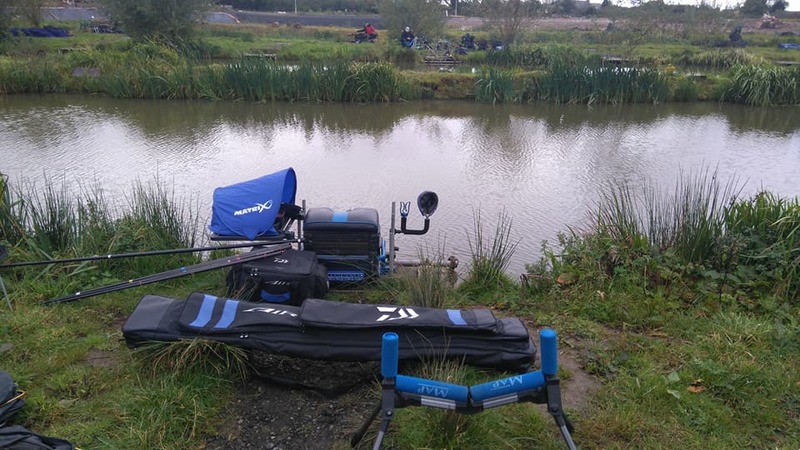 I was the last to weigh in and when they arrived at my peg I ended up with 12lb which i caught most of it in the final hour it was easily enough for me to win my section , but I’m kicking myself a bit because just 16lb was required to come third overall and i felt that was manageable today if I had fished a bit better , the match was won from peg 25 with just under 40lb than second came from peg 7 with 25lb after that there was a couple of 16lb nets before the weights really dropped of which was no doubt down to the conditions . I’m back at Old Hough on Sunday for the next round and with the weather going colder a good draw would be needed but hopefully i can keep away from the bad areas and consolidate my place at the top of the league as im on ten points at the moment after five rounds , fingers crossed i can drop at least one of my Bradshaw results then it will be a good winter league for me . 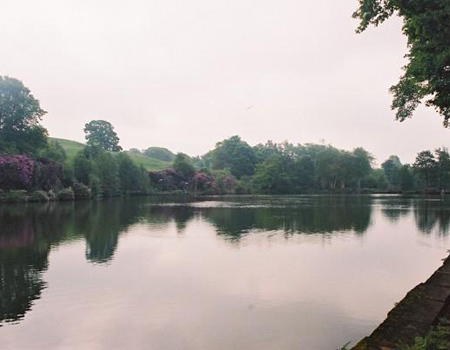 I have been to the cunneries fishery today for the last round of the team’s of three and we was languishing in a comfortable fifth place as long as we didn’t suffer a complete disaster then that’s where we would stay , which was a bit disappointing but with the class of anglers in some of the teams this time round it was always going to be hard improving on the fourth place we achieved on the spring league here . After last weeks storm Brian i hoped we had seen the back of the windy weather but we wasnt going to be so lucky because i woke on the morning of the match it was blowing a gale and on arrival to the venue the conditions had meant that a couple of the teams had decided not to attend which meant the organisers had to do a bit of reshuffling before the draw could take place . When things had finally got sorted it was time for the captains to queue up to have a dip in the bag of doom and when ours returned I was given peg six on the old canal which I didn’t mind as it meant that I had finally managed to get away from the forty pegs on the s canal , on settling in at my home for the next few hours i was half way along the straight with your back towards Hawk pool and i had a lovely reed lined far bank about eleven meters away but as the wind was blowing strongly from left to right and it was forecast to get worse as the match progressed so fishing across was out of the question. 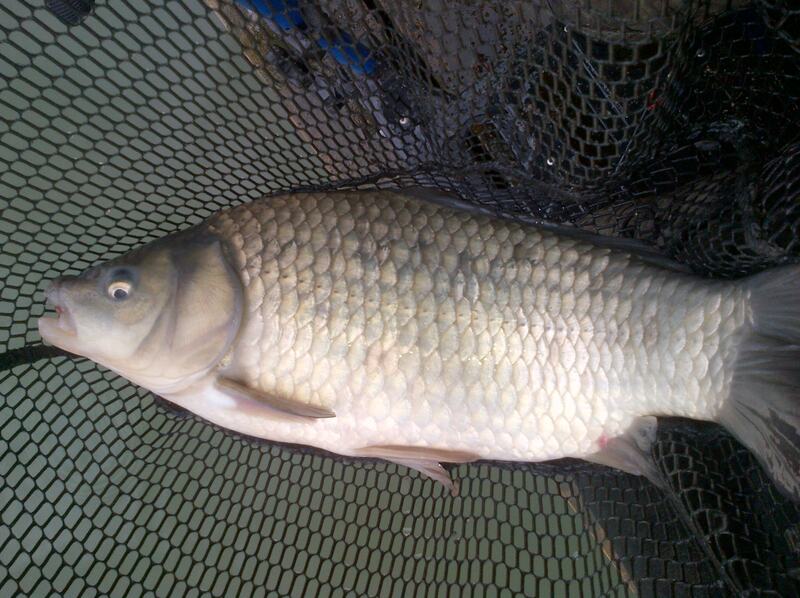 Three foot rig which was about a meter away from the near bank towards my left hand empty platform and i used a 4×12 roob float which had an inch spread bulk starting above my four-inch 012 garbo hook length . Four foot rig for at the bottom of the near slope and i used a 4×14 roob float which had an inch spread bulk starting above my four-inch 012 garbo hook length . 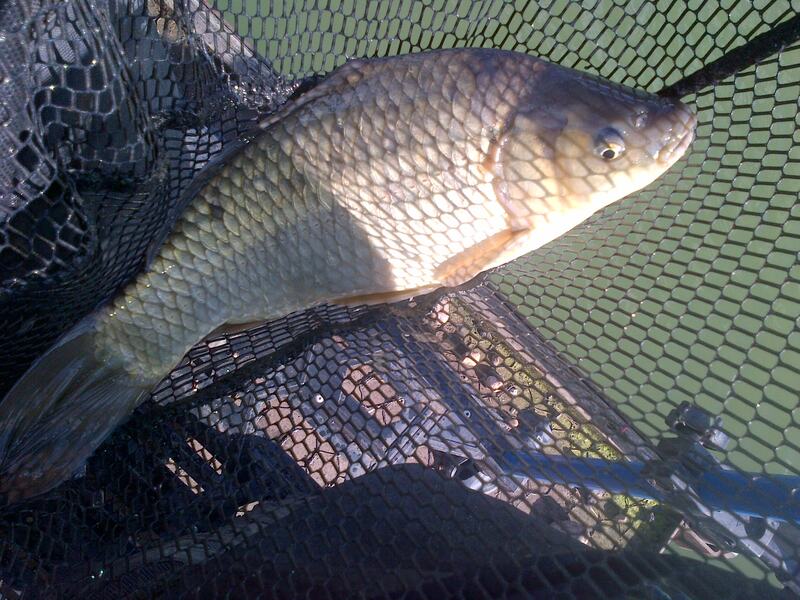 Channel rig in the deepest water i could find which was only five foot deep and i would be using maggots on this swim i decided to use a 4×12 Md maggie float with a bulk plus dropper shotting pattern and my main was the usual 016 garbo with a six-inch 012 garbo hook length . Small tub of 4mm expanders . When the all in sounded i started my match on my 4ft rig with pellets along my left hand margin and it took a couple of feeds of micros through a sprinkle pot before i started getting indications this only produced some skimmers and an f1 in the first hour but it just didn’t seem right as it wasnt really getting any better , i tried my 3ft rig to see if the f1s would feed better at this depth but i struggled to attract a bite on this swim . I had a look on my across line when the wind eased and i caught a few f1s doing that although i didn’t really fancy fighting with the wind all match , half way through the contest i only had eight f1s in the net which wasnt great but i felt that i was just in front along my side of the bank but there seemed to be a lot more being caught opposite me . I had fed my channel swim with maggots since the match started and a switch to my six meter swim worked wonders for me as i began putting some fish in the net at long last but i didn’t quite get my feeding correct because among the very delicate indications I managed to catch the odd f1 and skimmer right up to the all out although I did have to alter the way i laid my rig in to get a more positive bite , i did foul hook a few fish today because I needed to lay some line on the deck to help keep my rig still which was always going to be a bit of a risk . At the all out I had managed twenty f1s plus a couple of decent skimmers which went 44lb this put me fourth on the lake which i was a bit disappointed with as I felt if i had done things a little bit differently a low 50lb weight was more than possible which would have got me in the top two on the lake , as a team we ended up with 18 points on the day but the challengers around us had done worse so we ended up fifth in the league overall which was reasonable with the standard of anglers contesting the event, well done to the framing teams and section winners today. 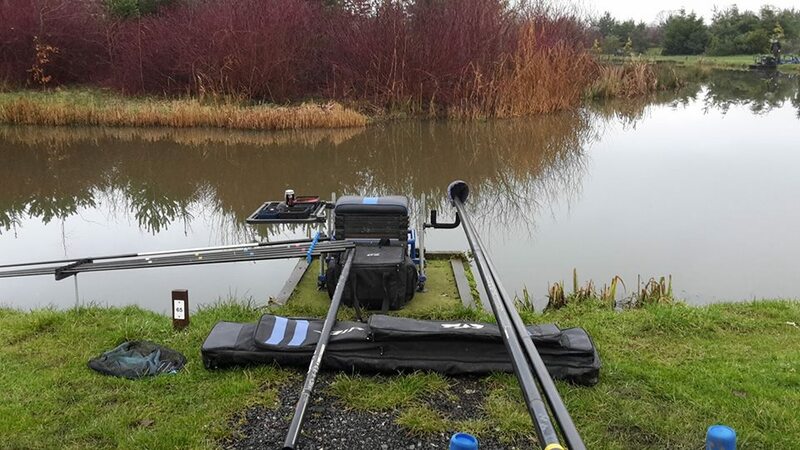 Today i have been back to heronbrook as a guest for the Stockton heath lads it was the second round of the winter league and as it would be my last match here due to another winter league commitment at Old Hough that i have contested for the last few years so i was looking forward to getting a good draw plus catching a few fish but how wrong was i and after yesterdays good result at Partridge lake I came back to earth with a bang .On arriving at the fishery i caught up with the rest of the team before grabbing a breakfast and all the talk was on how hard it might fish because the weather recently had been awful with heavy downpours plus strong winds although it was still quite warm , at the draw i was handed peg sixteen on match lake i got told it was the worst one on the lake and i already knew the lake wasnt fishing great i would have much prepared to be on match pool as at least you was guaranteed a few bites on that water . Top kit plus one at the bottom of the near slope were upon plumbing up i found five foot so i used a 4×12 joof float with a staggered bulk starting above my six-inch 012 garbo hook length which had a size 18 lwg hook with a micro bait band attached to it and my main line was the usual 016 garbo main line . 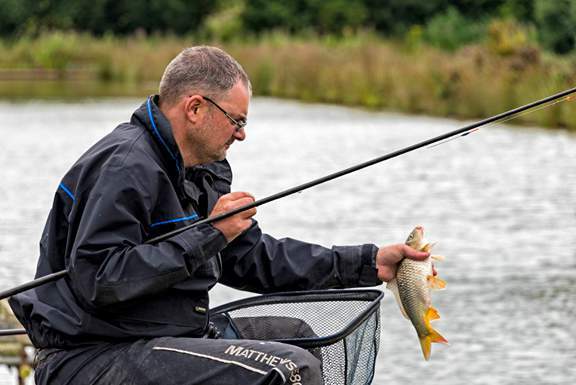 Thirteen meter swim where it was nearly a top kit deep and i used a 4×14 joof float with a bulk plus two dropper shotting pattern , my main line was 014 garbo and hook length was six-inch of 012 garbo which had a size 18 lwg hook with a micro bait band attached . Right hand margin in 4ft a couple of feet away from the bank because it fell away quite steeply and this is where it levelled out before dropping off again , i used a 4×14 Md diamond float which had an inch spread bulk starting above my six-inch 014 garbo hook length which had a size 16 lwg hook attached . Left hand margin in three-foot tight to the bank because the slope was a lot more angler friendly on this side and i decided to fish a negative swim with pellets here , i used a 4×12 Md pellet float which had an inch spread bulk starting above my four-inch 012 garbo hook length and attached to it was a size 16 lwg . 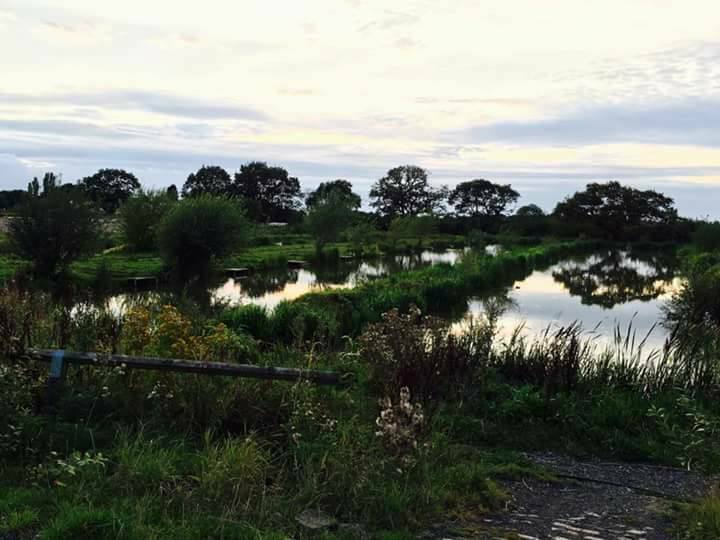 As i had an island around twenty meters away i set up a feeder rod with a 1/8 ounce straight lead which had an eighteen inch hook length and my hook was a size 16 lwg . When the all in sounded i started my match at the bottom of the near slope with hard pellets i kept flicking half a dozen 4mm pellets around my float and it was unbelievably slow going , i missed a couple of indications and i altered my shooting pattern so that my hook bait fell slower this got me two quick f1’s , i felt that i had it sorted but i only had a couple of missed dips on the float in the next half hour but as no one around me was catching I didn’t panic . All the time I had been pinging a couple of 8mm pellets towards the island and this was my next line to go at with the straight lead but all I managed was the odd liner which had me scratching my head as i really felt this would get me a few fish but especially as the lad towards my right was catching f1s on the tip rod although he was using a method feeder I found out later this never works on the match lake so I wasted another hour. I went on to my 13m swim next at the bottom of the far shelf and after kinder potting in some hard 4mm pellets a few times from a height to try to draw some fish into the swim , this kind of worked for me as I caught two quick f1’s then nothing so I was back to square one and that seemed to be how my match panned out today as i added on another section going out to 14m where it started sloping up to the island which got me a couple of fish then nothing , in the back of my mind I just knew that I should be concentrating in shallower water with it still being quite warm . 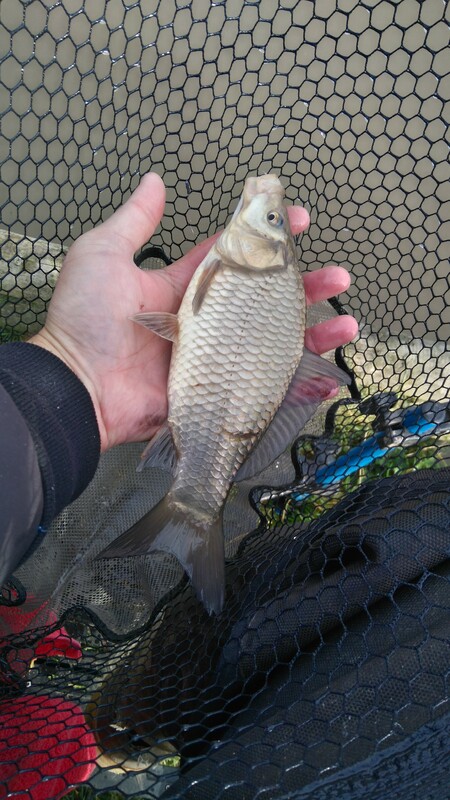 After re plumbing up along my right hand margin at six meters I managed to find 2ft but the slope was too steep to fish there and I found 4ft just as it levelled out a bit before another drop off, I began by kinder potting in a few grains of corn and after a couple of feeds i caught an F1 before twenty minutes without a sign . A switch to my pellet line got me a couple more fish and I knew that I had made the right decision to fish in shallower water it was just that i made the switch three hours too late , for the rest of the match I rotated between them both catching fish from each before resting it and I did lose a barny rubble with a hook pull after a five-minute fight on my corn swim which cost me at the end , but i must have doubled my catch in the last ninety minutes from down the edge and maybe it was just the time of day but im not too sure .When the all out sounded I had a very long wait before i put a very disappointing 30lb on the scales for last in my ten peg section although I had 31lb on one side of me, 33lb the other and 46lb won the money section so i wasnt too far away but it was still a bit gutting the team didn’t do great either so all in all a very poor day , but like they say you are only as good as your last match so hopefully i can put it behind me when i contest the first round of my winter league at Old Hough next weekend . 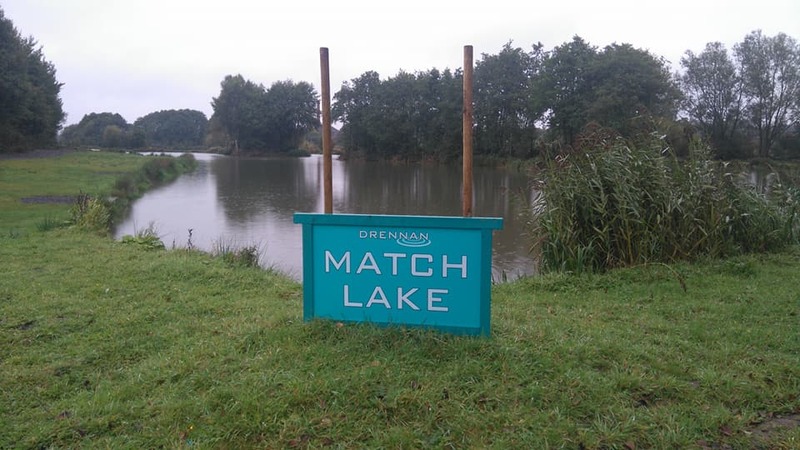 I have been to partridge lakes today for the open match it was due to be on coveys 1-4 plus covey six and looking at the results during the week the latter one was the place to be because the original coveys had fished quite hard due to the very unsettled weather , as its nearly the middle of October and temps are up in the late teens not that I’m complaining still fishing in t-shirts at this time of year . On arrival to the fishery there was all the usual people in attendance getting reacquainted with the coveys as it was soon coming round to winter league time and I’m going to miss it this year , as i am concentrating on the Old Hough winter league that my mate is running but i will be back here for the Individual league in January , it turned out that there was seventy anglers in attendance just your typical weekend turn out for Partridge lakes . As I hadn’t been here for quite some time nearly three months to be exact so i expected to be well of the pace and i was still really looking forward to it even though I thought that it would be tough going , it soon came round to draw time so i joined the queue about half way and when it came to my turn for a dip in the bag of doom somethings never change as I pulled out my usual end peg which was 132 on covey six which does throw up a good weight every so often ( so no pressure then lol ) although it couldn’t be that good because i had been nowhere near it in the four years i had attended the opens on here as i had sat on most of the flyers . 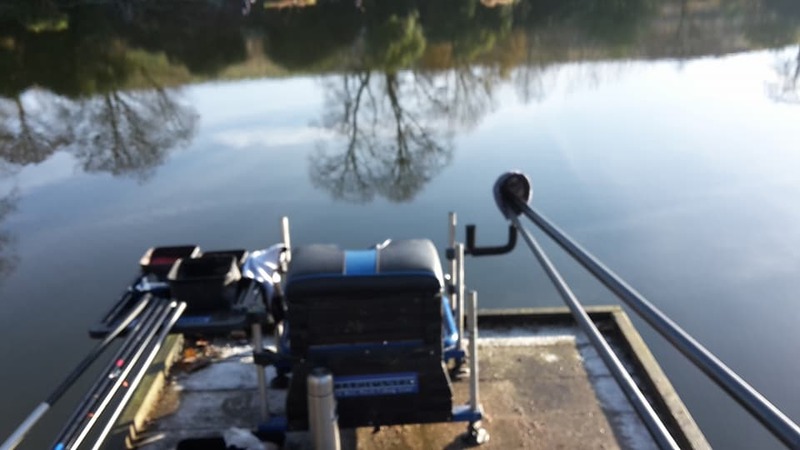 4ft,3ft,2ft pellet rigs which i would use for chasing the f1s up and down the near slope and on all of them i used a 4×14 Md wire stemmed float with an inch spread bulk starting above the four-inch 012 garbo hook length which had a size 16 guru pellet attached . 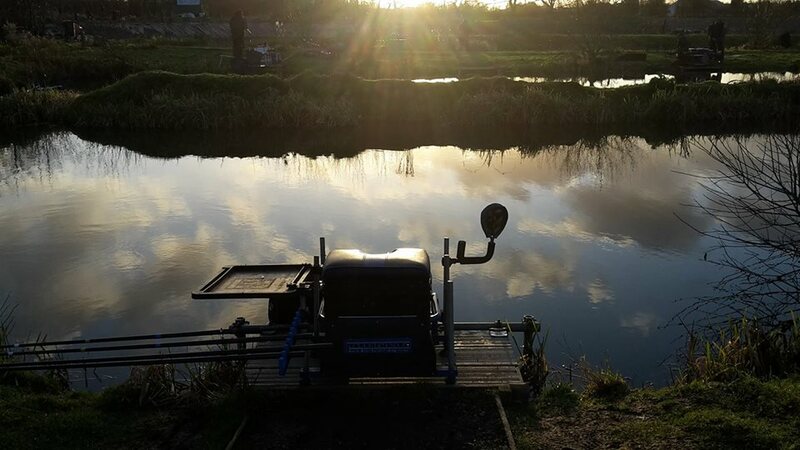 I also set up a shallow rig set at 18 inch because i noticed a few fish swirling near the aerator and the bridge , i used a 4×10 Md mini mag float with a small bulk of shot above the six-inch 012 garbo hook length which had a size twenty guru lwg hook with a micro bait band . 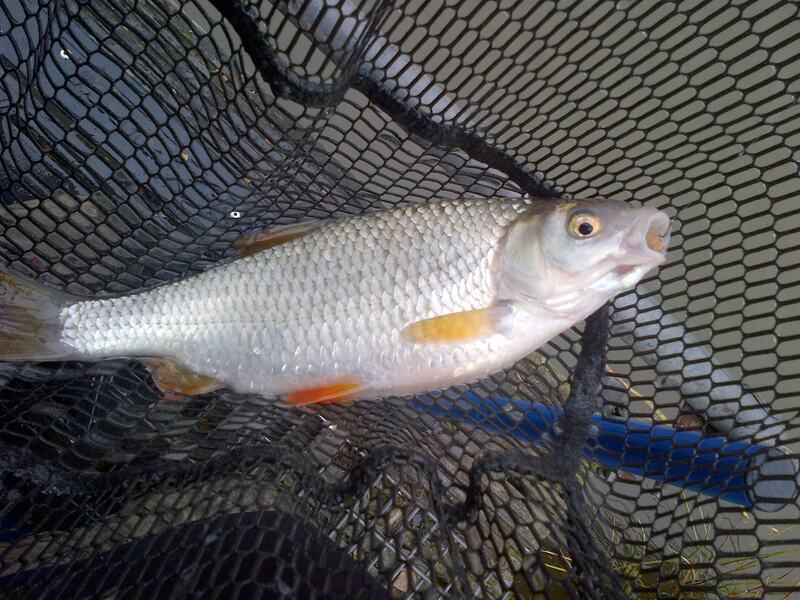 I didn’t take any maggots to my peg today which i felt might have been a mistake if I wanted to fish shallow because there was a few fish knocking at the aerator and pellets do not usually work on here for fishing up in the water , i also didn’t have anything bigger than 4mm but i would give it a try but half expected it not to work and when the all in sounded I flicked my shallow pellet rig at eleven meters towards the aerator , i gave my float a couple of slaps then my elastic came shooting out which took me a bit by surprise and I lost the carp as it took me under the rope , i did not want to start feeding anything just yet as it might affect my other lines but by rotating between here and the bridge I picked up some nice stamp F1+carp in the first ninety minutes before things started to slow down this was when i picked up my catty to try to get them competing but it had the opposite effect killing the swim completely . When this swim died I went down both edges starting in four-foot and managed a few f1s+stockies feeding micros sprinkling them in through a small kinder pot i had a 4mm expander on the hook when i began suffering with line bites so i tried clumping in the feed to try to get the fish back on the deck , this worked for a while but it wasnt right so i picked up my three-foot rig to chase them further up the near shelf this got me another run of f1s and they was all a good stamp as well , it wasnt long before the problem of line bites returned but i couldn’t get into any shallower water as the scum had began to gather really badly in front of me . 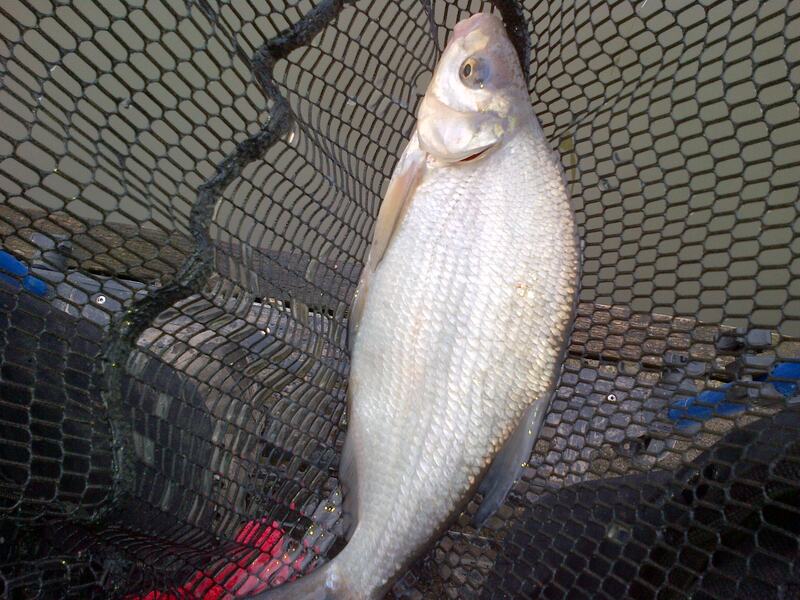 I plumbed a swim across to the point of the island at 14m but the wind was making it a problem to keep my rig still and i did manage a couple of fish but i was fighting a losing battle with the blustery conditions so i gave up on it for the time being although i would give it another try when conditions allow . I put in a new line further along my left hand margin at the side of the scum but it was nearly four feet deep not ideal and after a couple of feeds i began catching again but the scum kept on gathering meaning that i had to keep adding sections to start new swims but at least it meant i did not have time to suffer with line bites , strangely my right hand edge towards the bridge never really got going and In the last hour I went back into four-foot at eleven meters either side of me which was the extremes of my peg and I managed to pick up the odd fish from each but it was slow going. When the all out sounded I had managed 25 f1’s and five carp which went 64lb but i never felt in control of my peg today this was just enough to win the section and surprisingly I was also third on the lake , when I got back to the cabin it turned out that I was also third in the match which is my best performance here on these highly contested opens and it had been tough on covey 1-4, to be honest I felt that it could have been on a match winning peg if I had changed a few things and i am kicking myself for not getting the couple of extra pounds which would have placed me into the high flyer match next weekend but I’m happy with the result on my first visit in months. 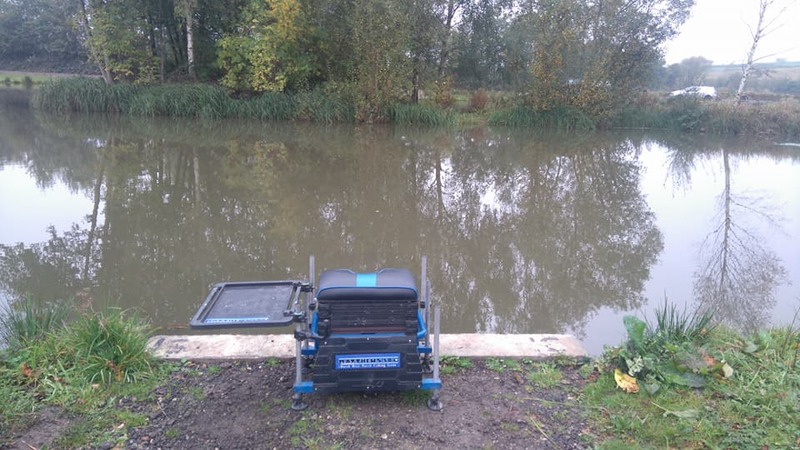 Today i was back at the Cunneries fishery for the penultimate round of the Autumn teams of three and as the Daiwa adlington team was languishing in mid table we could do with a good performance to move us up the league although in all honesty it would be very hard to make up ground on the top four , during the week leading up to the contest we had some torrential down pours and it was forecast to be continuous rain today as well , this i felt would have an impact on the weights and i thought that just 60lb could be enough for good section points that was probably only thirty-five stamp f1s which should be achievable on most of the pegs on the S canal , the Old canal was also in the match today after it had been closed for over a month and on Thursdays match it had thrown up some really good weights but that was a rover when just four anglers decided to go on it today every other peg would be which would make things a bit tougher . 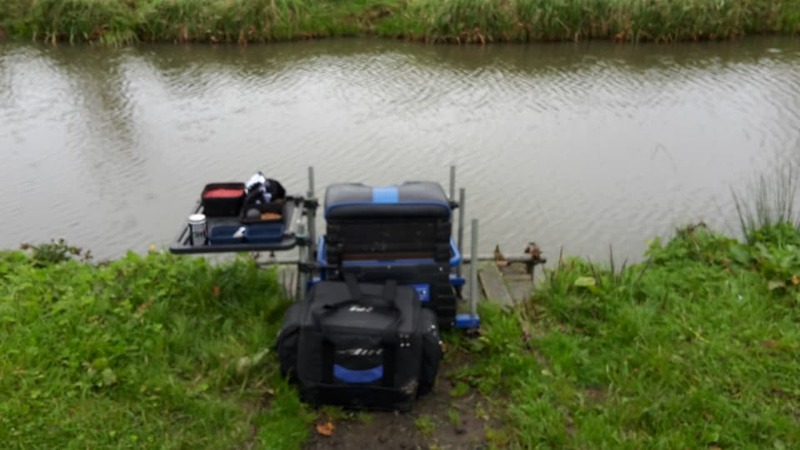 After my short drive to the fishery i grabbed a buttie before having a chat with a few of the other anglers in attendance and so far the rain had held off but there was quite a brisk wind blowing towards the car park , as i had decided to stand down from the Daiwa Adlington squad after the league had finished i decided to let the other team members do a bit of the work so i relegated myself from doing the drawing duties , but it didn’t really make much difference as the captain still brought back our usual end peg this time it was in the shape of 15 S canal with the wind blowing into it and it looked really good , the only trouble was i wasnt going to be sitting on it as my home for the day was 40 S canal only a couple away from the last round where i struggled to catch a great deal so i expected more of the same this time . Top kit plus one at an angle towards my left at the bottom of the near slope and i used a 4×12 Md maggie float with a staggered bulk shotting pattern spread along the bottom third of my rig starting above my six-inch 012 garbo hook length which had a size 18 guru LWG hook attached with a micro bait band . Three foot rig for in front of the far bank reeds and five meters along my left hand margin at the far side of the weed bed , i used a 4×12 Md pellet float with an inch spread bulk shotting pattern starting above my four-inch 012 garbo hook length which had a size 18 Guru pellet hook attached to it . Channel rig six meters towards my right + left this would allow me to try a couple of different feeding patterns and i used a 4×12 Md maggie float which had a staggered bulk shotting pattern spread along the bottom third of my rig starting above my six-inch 012 garbo hook length which had a size 18 guru LWG hook attached . I began the match on my top three and tapped in a few 4mm pellets before flicking my rig out so that it fell up the near slope even though i kept throwing in some pellets and laying my float among it , it took an age for me to get an indication and i only managed four f1s in the first which wasnt the best of starts maybe hard pellets are on their way out now that the water has started to go a bit cooler . I switched to my across swim it took a couple of feeds of micros through a kinder pot before i got a response and for the next hour i had a good run of fish the only trouble was they were just stockies+skimmers not what i wanted to be catching if i required some good points , despite trying all sorts of different feeding patterns and moving swims i just couldn’t get through the small stuff . 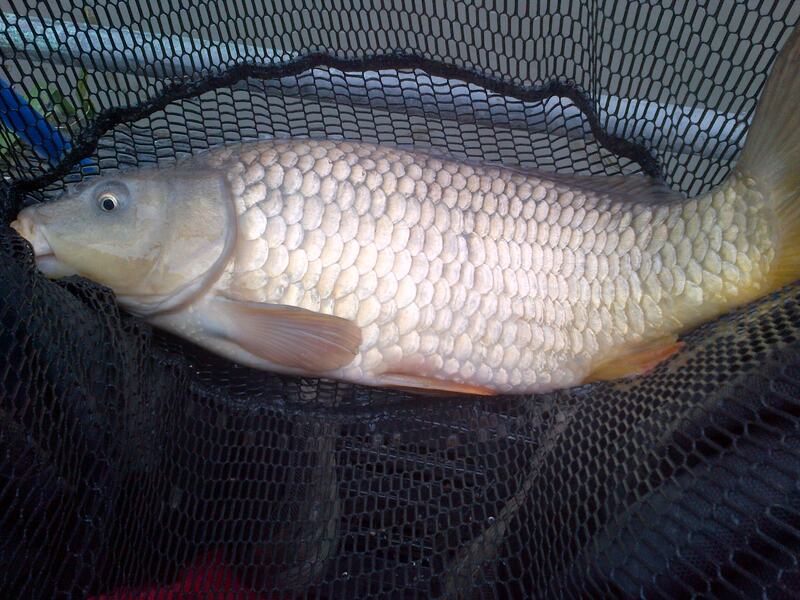 I decided to give my channel swim a try which was my best area on the last round and i fed one with a small pot of maggots the other with a kinder pot of micros , by rotating between the two i managed to pick up the odd stamp f1 but never really managed a run of fish from either it just seemed there wasnt many in the area and to be honest if i had spent the rest of the match here i would have ended up with better section points but i felt that i wasnt catching quick enough so i had a look down my long left hand margin , i clumped in some micros through a large kinder pot and lowered my rig in over the top of it and i managed three big f1s straight away i hoped that i could put a run together but it never really got going . 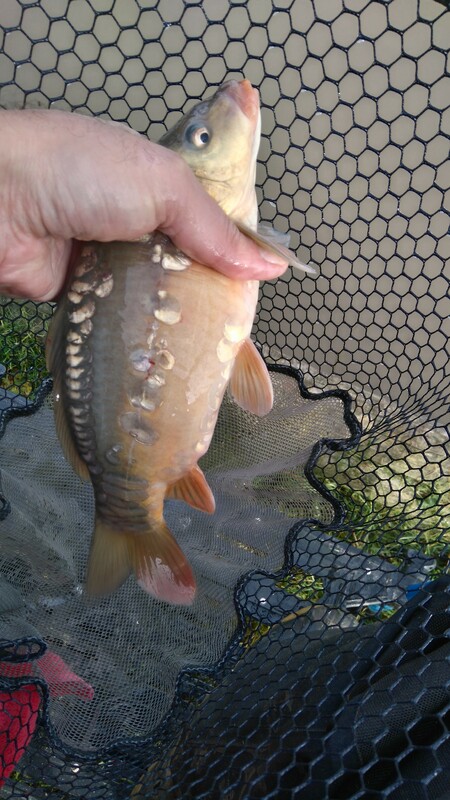 A switch back to my channel swim got me a few more fish and i spent the remainder of the match alternating between them both picking up f1s from each , soft pellets was by far the best bait for me today which was strange because others that i had talked to did better on maggots . When the all out sounded i ended up with 17 f1s plus a few skimmers+stockies and this went a disappointing 35lb which although beat the anglers either side of me was only good enough for 7th in my ten peg section although if i had managed another 5lb which was possible i would have had a lot better points , on meeting up with the other lads in the team they had struggled just like me so we was all a bit down with the result and as it turned out we ended up joint fifth on the day which is a lot better than we thought because i feared we might have even been last . 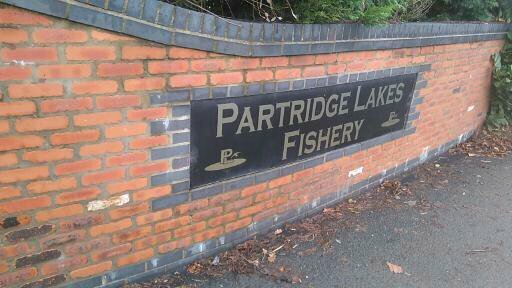 Theres a few weeks break before the next round so hopefully the weather might have settled down a bit and the fishing has improved , before that im off to Partridge lakes for the first time in ages and then back to Heronbrook fishery for the second round of the winter league so a busy but enjoyable weekend ahead .